The Sports Backers are committed to improving the health of our children by encouraging routine physical activity, which is critical to their long-term growth and well-being. The Richmond Road Runners support running in the metro Richmond area, which includes helping get kids started at a young age. Through a joint effort with the Richmond Road Runners Club, we provide grants to local schools who seek to implement run clubs or host their own running event. 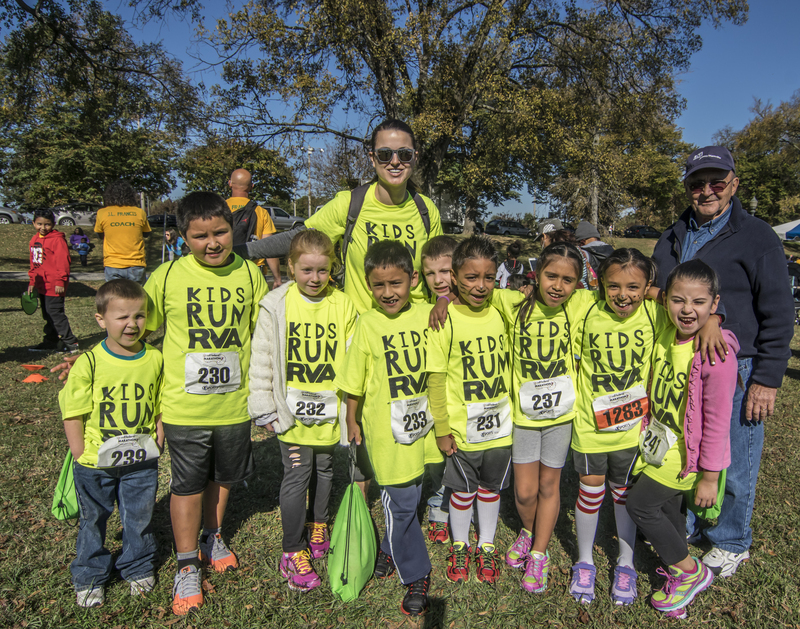 Kids Run RVA offers additional support for Title I schools, including discounted and/or complimentary entries to Sports Backers running events and funding to cover transportation costs. Establishing and maintaining running clubs. We make funds available for your school’s needs, whether it’s to buy cones or coolers, to keep the gym open late, or to provide a small stipend for a volunteer coach. Providing proper footwear for kids in need. Without a good pair of shoes, even the most avid and excited kid can’t keep running. Offering reduced or free entry to select youth Sports Backers running events. These opportunities give kids a goal to work toward and a celebration they deserve. Covering the cost of transportation to youth Sports Backers running events. Get your crew of runners to race day without worrying about the cost of hiring a bus. Helping offset the costs associated with hosting your school’s own 5k, fun run, or run club finale event. We also have equipment available that schools can borrow to use at these events. Kids Run RVA has streamlined our grant application process so that you only have ONE application to complete. Tell us what you need and how you plan to use it, and we’ll do our best to get your kids running.